A critical activity of the United States Power Squadrons is conducting Vessel Safety Checks. 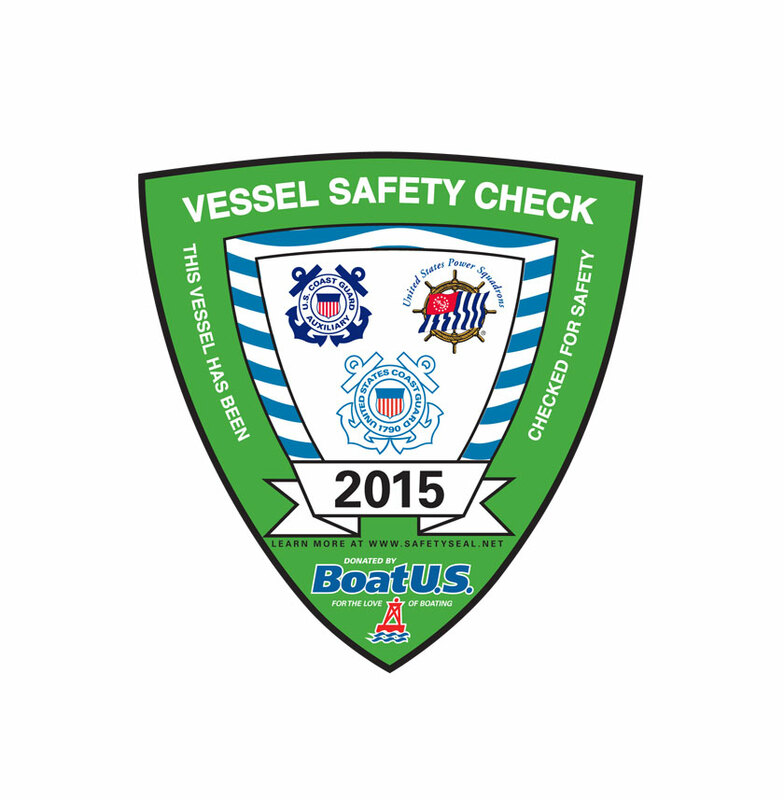 A Vessel Safety Check is a courtesy examination of your boat (Vessel) to verify the presence and condition of certain Safety Equipment required by State and the Federal regulations. The Vessel Examiner is a trained specialist and is a member of the United States Power Squadrons or the US Coast Guard Auxiliary. They will also make certain recommendations and discuss certain safety issues that will make you a safer boater. This is not boarding or a law enforcement issue. No citations will be given as a result of this encounter. We will supply you with a copy of our evaluation so that you may follow some of the suggestions given. Vessels that pass will be able to display our distinctive VSC decal. This does not exempt you from law enforcement boarding, but you can be prepared to make this a positive encounter. If you own or manage a marina and would like us to visit your marina, please contact us and let us know! We are happy to come to you. There is no cost to the Marina, and there is no cost to your customers. It strengthens the relationship between you and your customer as they know you are looking out for their safety! All vessel safety checks are voluntary. to schedule a Vessel Safety Check of your vessel, or to set up a day for us to come out and offer to check many boats at your marina!